If your space doesn’t allow for a show-stopping large pendant or chandelier, fear not—petite pendants can pack a big punch when it comes to creating visual impact in a space. Here, 10 personality-packed statement makers that let a small-in-size light go a long way. English elegance. 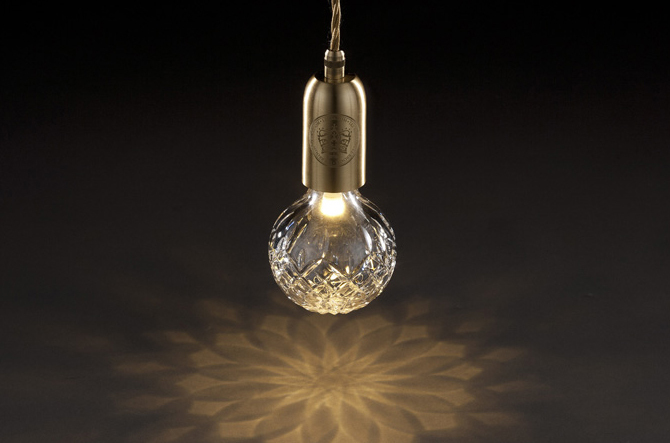 Decadent, modern and somehow homey, the Crystal Bulb Pendant by Lee Broom toes that quintessentially British line. 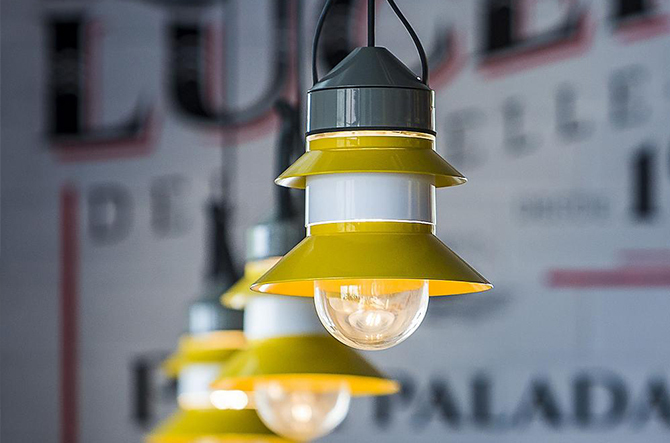 Cute and quirky, the brass finish captures the current trend and LED keeps your ecological credentials. Use one or more to add some glam to country-style spaces, or let it soften a more streamlined look. Tomorrowland. 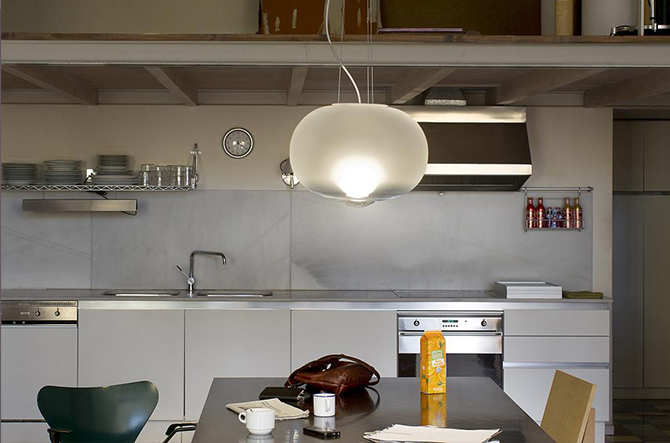 With clean lines and swept-back angles, the Non La LED Pendant by Bover brings a modern look with a space-age feel. The silhouette is strong enough to stand on its own, making it a great go-to when real estate is at a premium. Silicone simplicity. 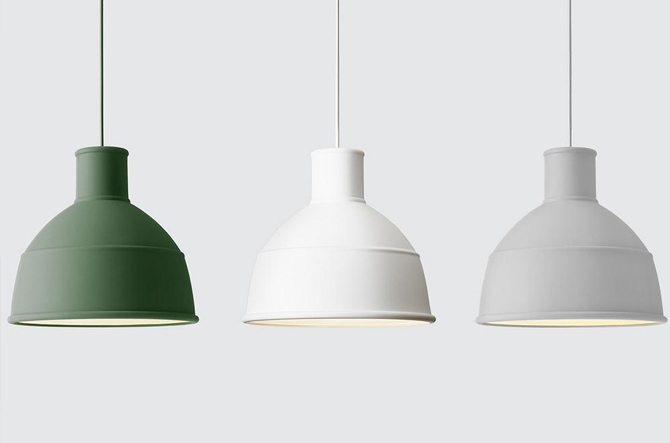 Budget-friendly and easy to clean, Muuto’s Unfold Pendant is a great piece to add a big pop color to a monochromatic space. The flexible, non-fragile construction makes it a kid-friendly design when cleanup and play time converge. Mediterranean escape. 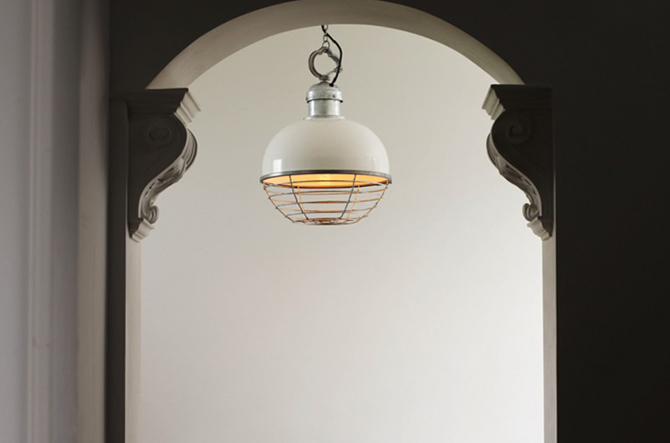 Inspired by the lights found on fishing boats, the Santorini Pendant is a playful take on classic light. The shades can be customized to your own space, so it’s easy to bring those holiday memories of the Mediterranean into your home. A fashionably fluttery fixture. 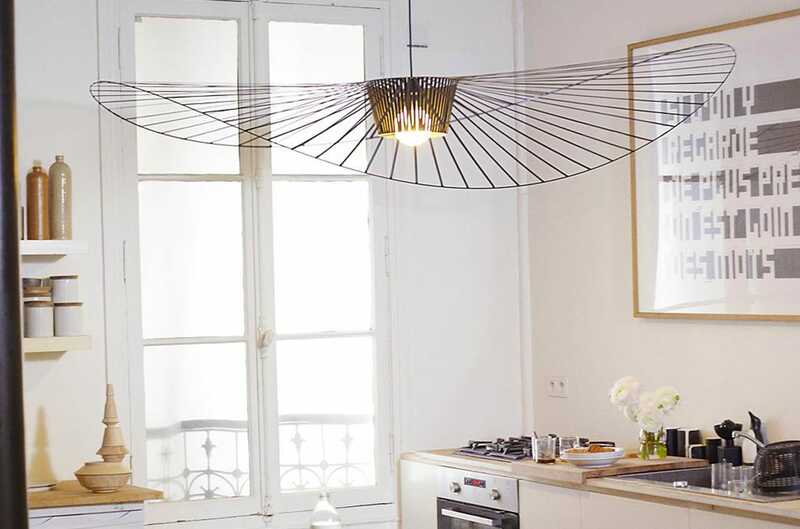 The Vertigo Pendant by Petite Friture looks like a wide-brimmed hat and is, as such, an appropriately stylish accessory for modern interiors. 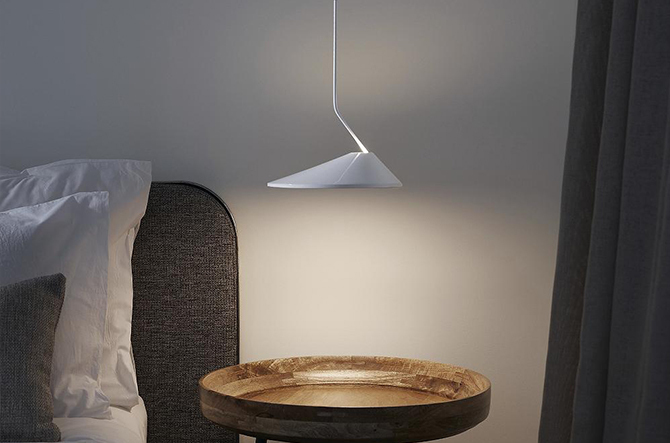 The shape and featherlight weight of the fixture also enables it to tilt and twist with the gentlest breeze, which only adds to its charm. Industrial edge. Add a bit of a raw look to classic interiors. The Oceanic Small Pendant delivers functional, ever-so nautical forms that can update any space without feeling too traditional. Outdoors in. If you’re a gardening fanatic or trapped in a concrete jungle, bring the outdoors in with this whimsical design from Ingo Maurer. 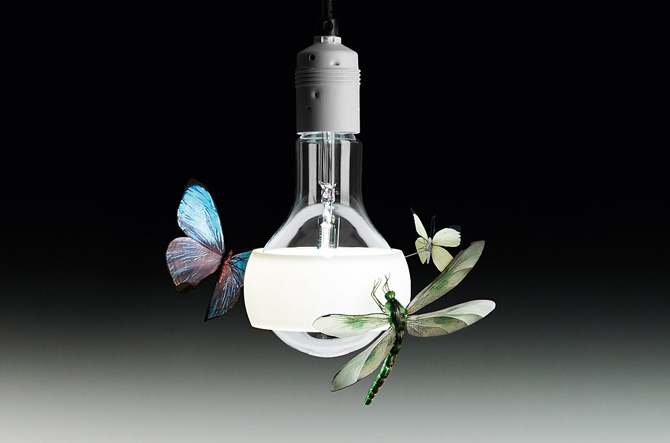 Delicate insects surround a classic bulb for a playful and simple fixture that can work in many spaces. Delicate drops. Sometimes, one is just not enough. Create a lush, warm effect with the Drops One Cluster Multi-Light Pendant, which gives a dynamic grouped look in a single pendant. 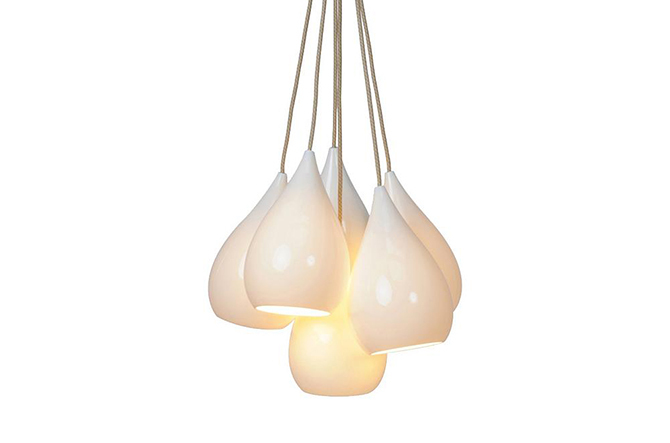 The forecast is...A statement-making light can be soft and delicate, too. This ephemeral design is warm and understated, creating a comforting atmosphere where one might not already be. It's knot complicated. 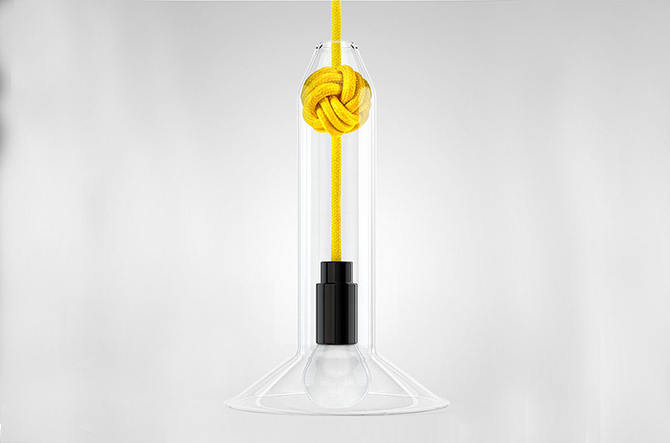 Clean, simple and playful, the Knot Pendant balances a delicate glass shade on intricately knotted fabric cord. Pick it up in one (or more!) of many bright hues to add a fun pop of color in any room.